TERRACED DREAM PENTHOUSE - WORLD CLASS HARBOR VIEWS -Epic postcard-perfect vistas of the Statue of Liberty, Ellis Island, NY Harbor, the mighty Hudson River, and open South and Western Skies from every single window -- and from this dreamy duplexed condo residences over-scaled private terrace. 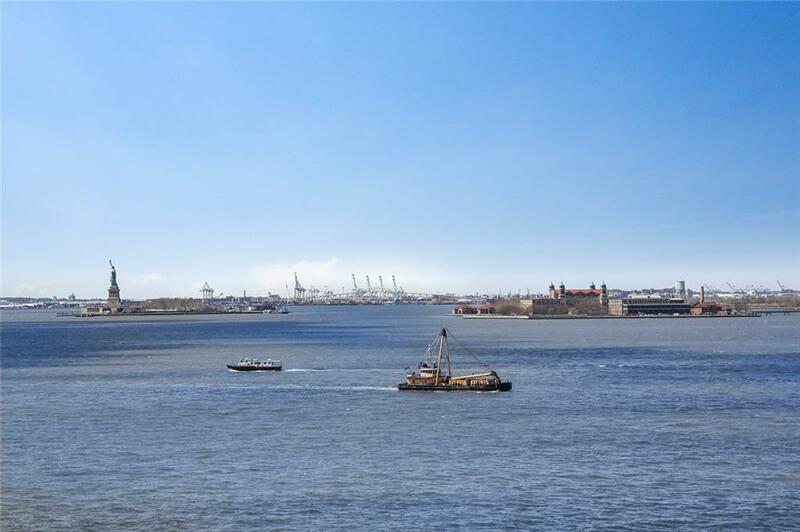 -30 feet (9.144 meters) of unrivalled, unobstructed, jaw-dropping water views from both floors of this exceptional Penthouse -- and from this rare homes deep, private, planted terrace. -First offer of this coveted, upgraded Penthouse in a generation. -Floating above it all is one of NYCs most unique, most compelling, and majestic harbor and river views. 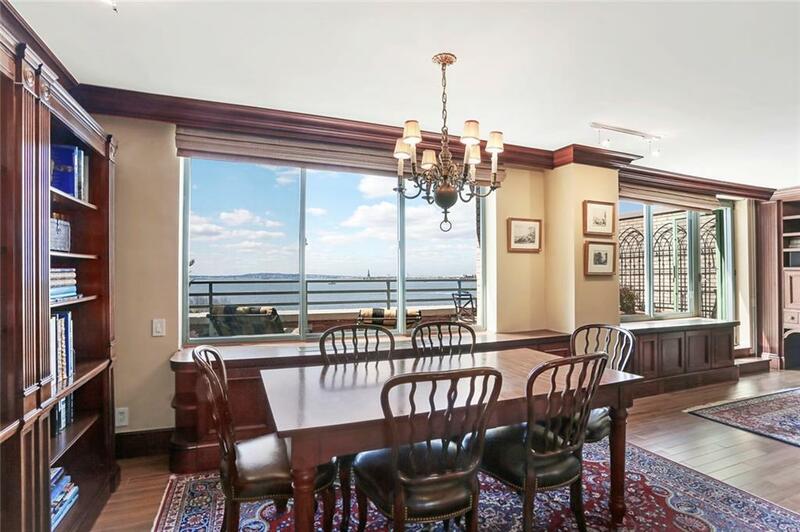 Here is a duplexed diamond -- a trophy home offering stupendous light and space, and a coveted front row seat to one of the most magical maritime panoramas in the world. 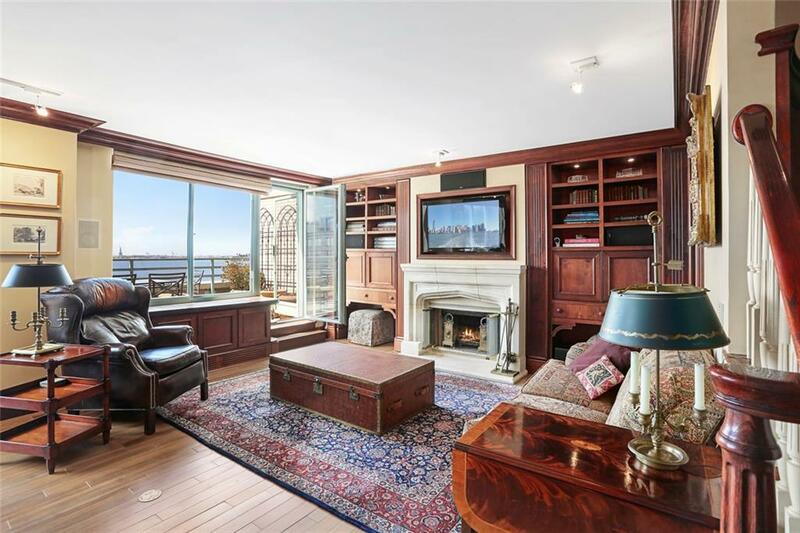 -This is the prime Penthouse condo home that inspires the senses and soothes the soul -- duplexed luxury enrobed by 8 over-scaled, mostly contiguous windows onto utterly magnificent, jaw-dropping water views. The mood of this big home changes and evolves as the days light reflects up from the waterway below. Stupendous sunsets envelop this resplendent residence, and a daily treasure trove of boats and ships from around the world glide by this high-floor homes big picture windows. -Inside is a thoughtful residence mindfully created to showcase its unsurpassed theatrical waterscape from every one of its generously proportioned rooms. -Downstairs boasts a dramatic, inviting, open-plan living/dining room -- a lofty expanse with Southern and Western exposures, a wood-burning fireplace, lovely and practical custom milled built-ins, cinematic harbor/river views, access to the magical, jumbo private terrace, and ideal proximity to the big, windowed, eat-in cooks kitchen (with dual sinks, stone counters, premium stainless appliances, and ample custom cabinetry/counter space). With a bonus office (with wine fridge), a gracious gallery/foyer and a pretty marble powder room, the entertaining floor of this Penthouse flows smartly, practically, and elegantly making it easy to live and easy to love.-Up the elegant, custom, curved stairs are the bedroom suites big rooms with big water views, big custom closets, sweet built-ins, and a dedicated area for a washer/dryer hook up. The master bedroom boasts an en suite marble bath with separate shower, deep-spa tub, and custom mosaic work. The guest bedroom suite is truly a second master, offering its own en-suite, full marble bath. The entire upstairs is a relaxed retreat overlooking a nautical wonderland. -Supremely situated in one of the most coveted and enviable areas of the premiere, full-service Regatta Condominium, this well-crafted Penthouse enjoys the buildings top-shelf staff, courtyard, terrace, and roof deck not to mention pristine proximity to public transportation (1 & R trains at Rector,4 & 5 trains at Wall Street, J & Z trains at Broad Street). -With world-class dining and shopping options at nearby Brookfield Place and World Trade Center, a plethora of area markets and boutiques, two movie theatre complexes (including the new iPic Theatre! ), and simple access to Tribeca, Financial District, and the Seaport, life here is easy, convenient, and fun. 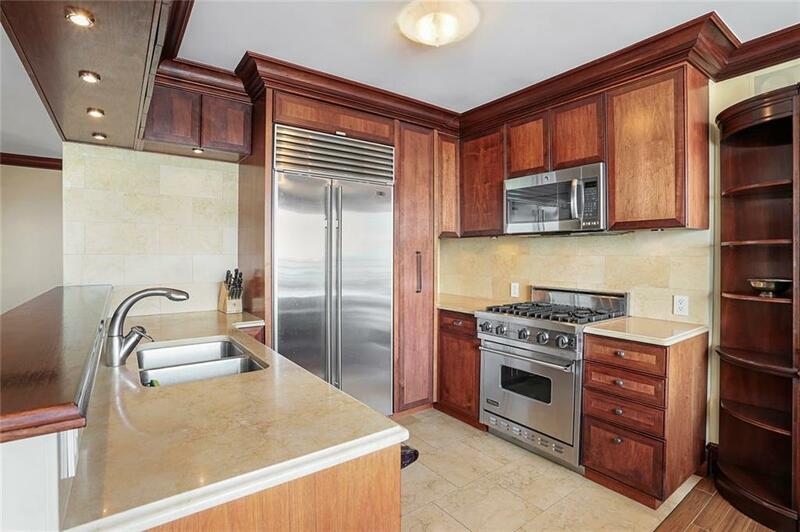 -Nestled within a glorious park, this remarkable Penthouse is on the Hudson River Esplanade, and close to playing fields, playgrounds, green spaces galore, and to most every downtown shopping, dining, and cultural destination. -A rare indoor/outdoor residential experience awaits you an exceptional Penthouse opportunity in an extraordinary setting. Welcome aboard.